You guys. I seem to have a thing for pillows! I’ve made them for a Polka Dot Halloween pillow, a Witch Halloween pillow, a Give Thanks pillow for Thanksgiving, a 25 Christmas pillow and now I’ve made a Valentine’s Day Pillow. The best part about most of these pillows is that they are pillow covers, so I can take the pillow insert out for storage! 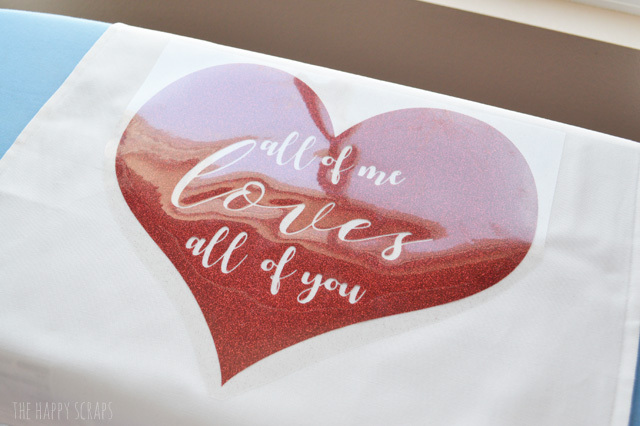 Another thing I love about them is the Glitter Iron-on Vinyl. You guys, it’s the BEST!! 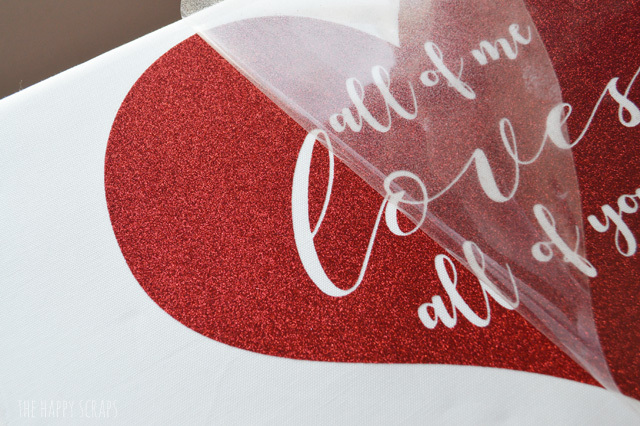 I love all those sparkles, and it doesn’t make a glitter mess either! 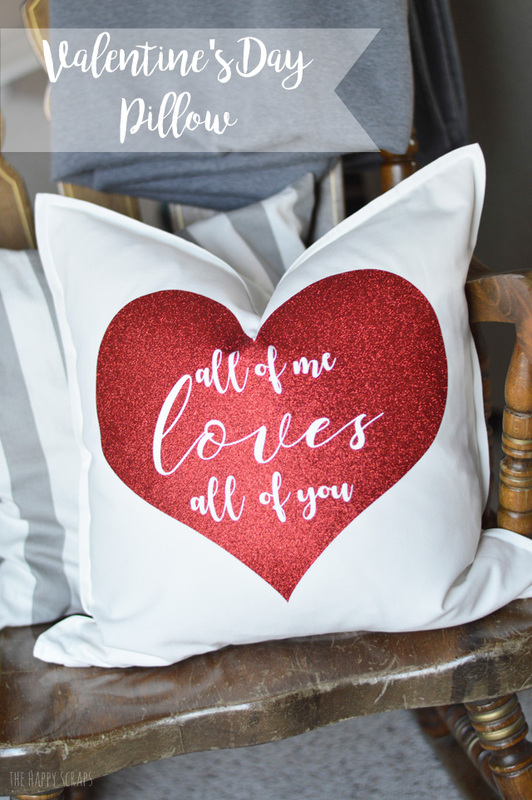 Today I’m going to give you all the details you need to make a fun Valentine’s Day Pillow for yourself! 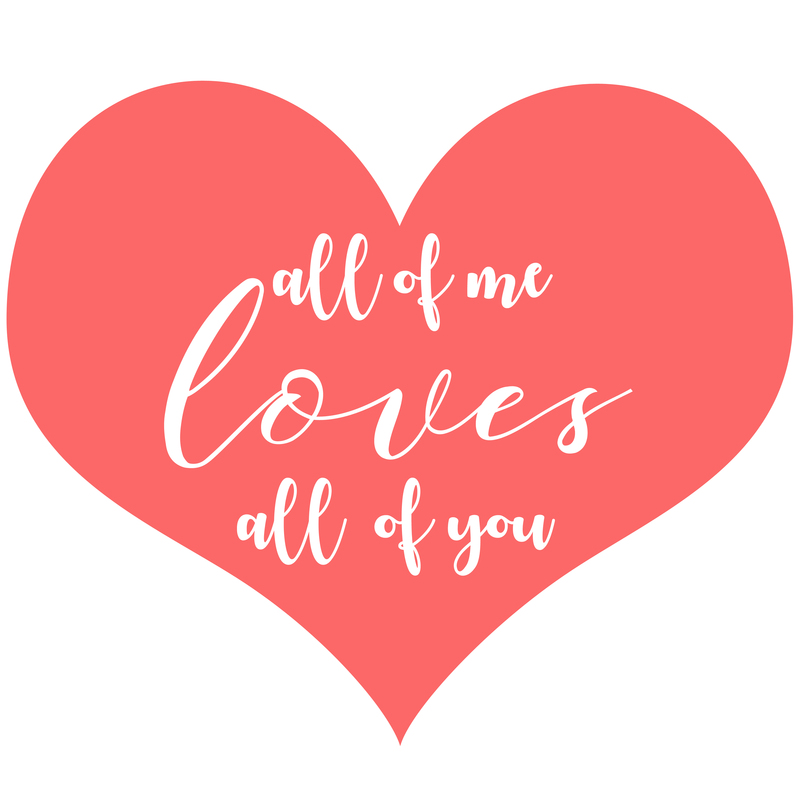 To start, you’ll want to find an image, design your own, or you can use mine, you can find it here. 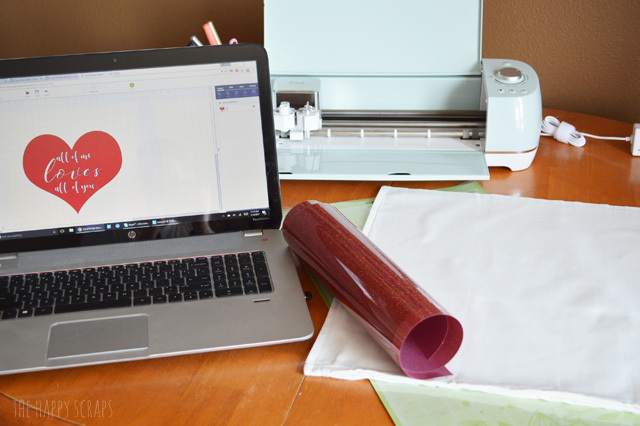 Follow the instructions here on How To Upload Your Own Image in Cricut Design Space. Once you have your image uploaded, you’re ready to cut. 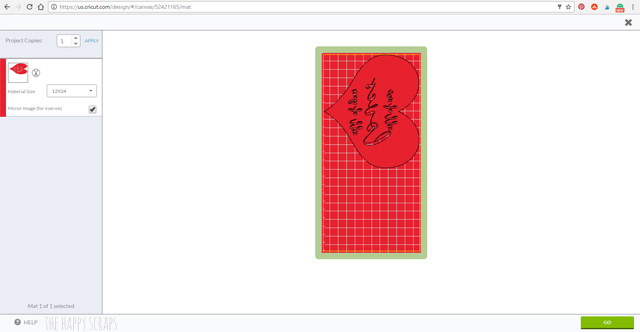 Click “GO” at the top of your screen. It will bring you to this page. 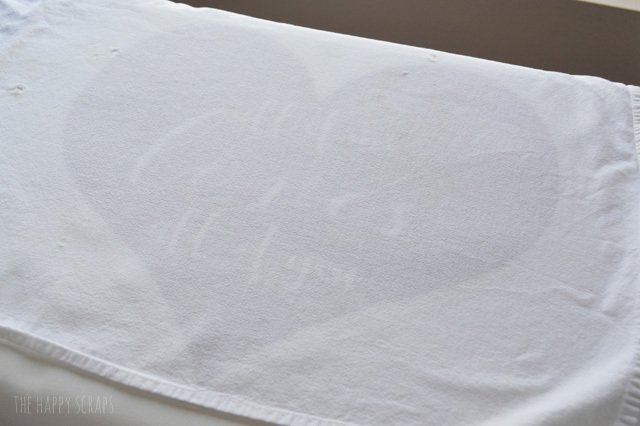 If you are cutting Iron-on, you want to click the check mark on “MIRROR IMAGE (FOR IRON-ON)”. Turn your dial to the right place and you are ready to cut. 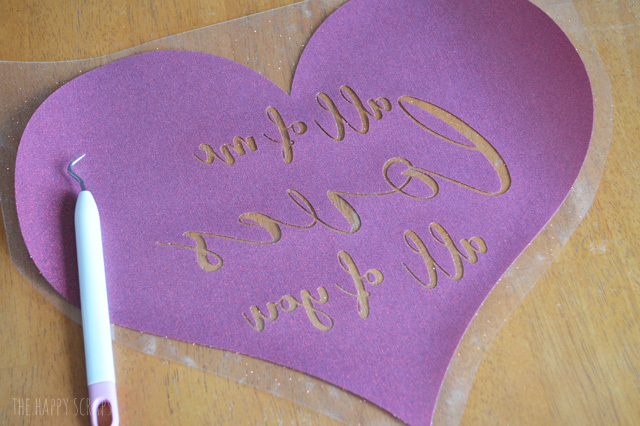 When I cut glitter iron-on vinyl, I like to put the dial on the Iron-on + setting. Place the iron-on vinyl, shiny side down, on your mat, then cut the image. Once cut, use your weeding tool to get all the vinyl negitive out. 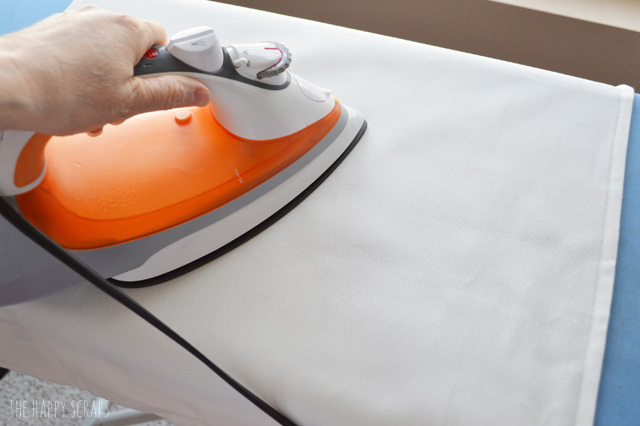 Place your pillow cover on the ironing board and warm it up with your iron. 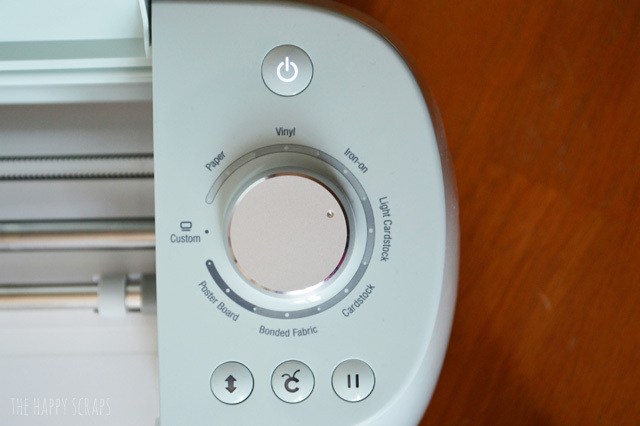 Place your cut out iron-on vinyl image onto the pillow. Place a towel over the top of the image and iron it. 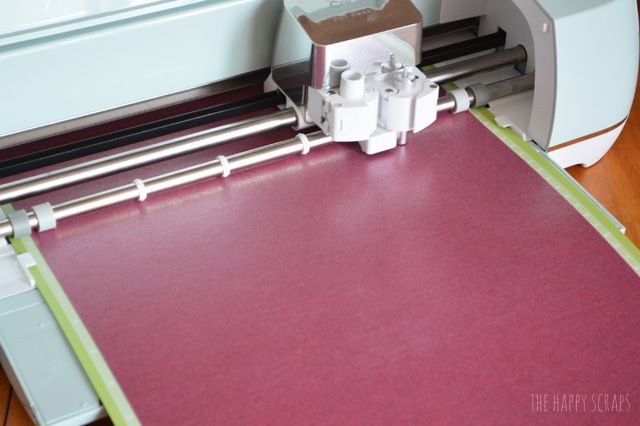 Make sure you iron long enough all over the image, or if you have a heat press that will work even better! Once your image is secured down to the pillow cover, peel the plastic cover off. Fill your pillow cover with a pillow insert and place it in your home where ever you want it. 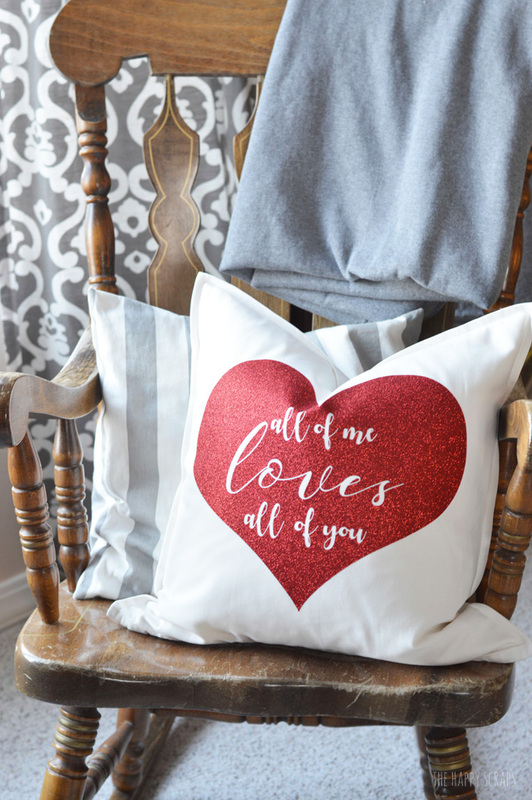 Ever since I took my Give Thanks Pillow and put it away, I’ve been wanting another one to decorate with, so I’m excited to have the “all of me LOVES all of you” pillow in my home. 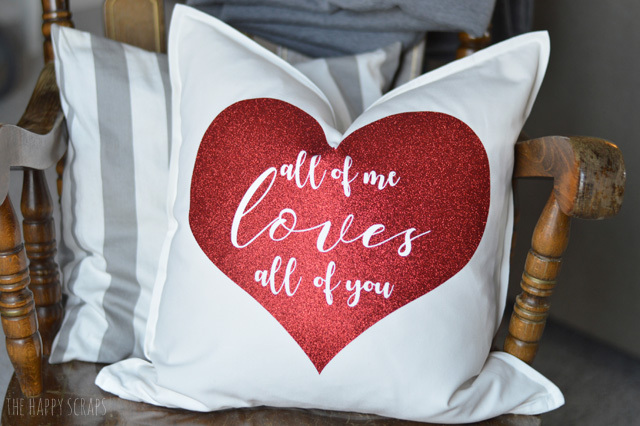 It’s the perfect addition to any home for Valentine’s Day and this pillow would even be a great addition to a master bedroom! 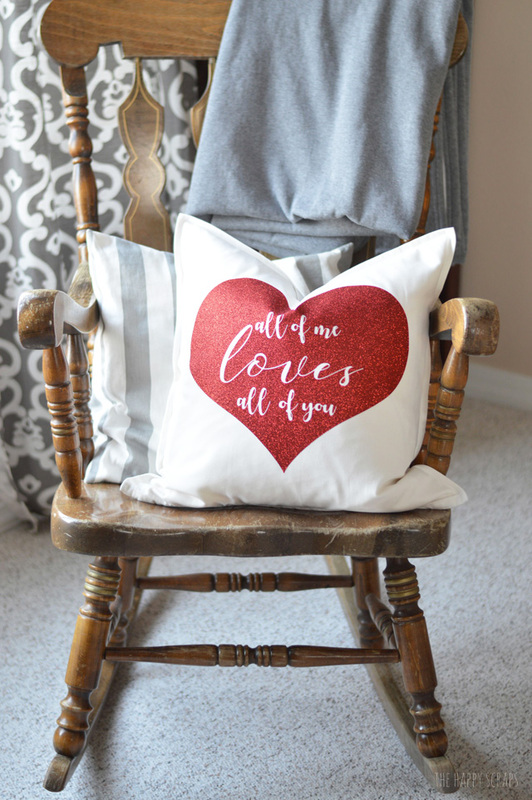 Tell me, what would you put on a pillow for Valentine’s day?